Includes all round staging and the door can be positioned either end. 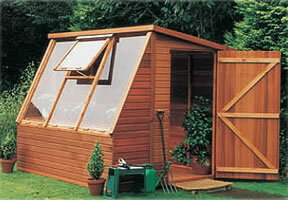 A beautiful solar greenhouse / potting shed. Door position is available either end and is inclusive of 25" staging except in the 10'x8' where this is 28"